Standard Life has increased the number of people it is able to auto-enrol daily from 4,000 to 60,000. The firm says it has also increased the number of straight-through online payments it can make daily to 350,000 from 100,000. Standard Life head of workplace strategy Jamie Jenkins says: “During the past couple of years our focus has been on upgrading our systems to ensure our clients and their advisers can implement auto-enrolment easily and smoothly. Last month, consultancy firm Towers Watson told Corporate Adviser the pensions industry’s ability to offer support to employers will hit full capacity in May and demand will be seven times normal capacity by the end of 2013. 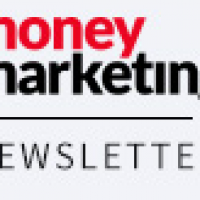 Last week, Money Marketing revealed Standard’s workplace managing director Ronnie Taylor and workplace proposition head Ann Flynn have left the firm.